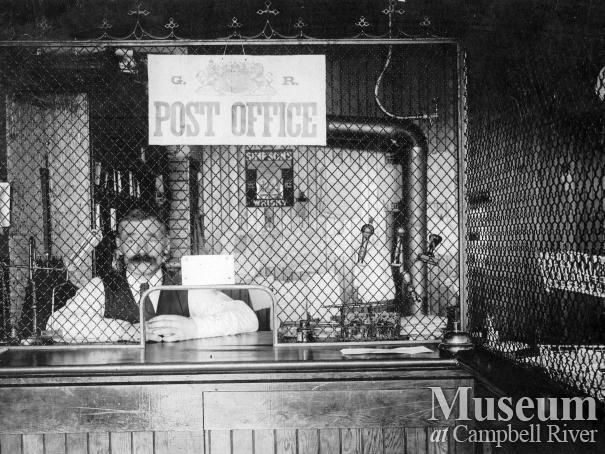 The first official Post Office in Campbell River was in the Thulin General Store. The post office was partitioned off from the rest of the store and had its own entrance. 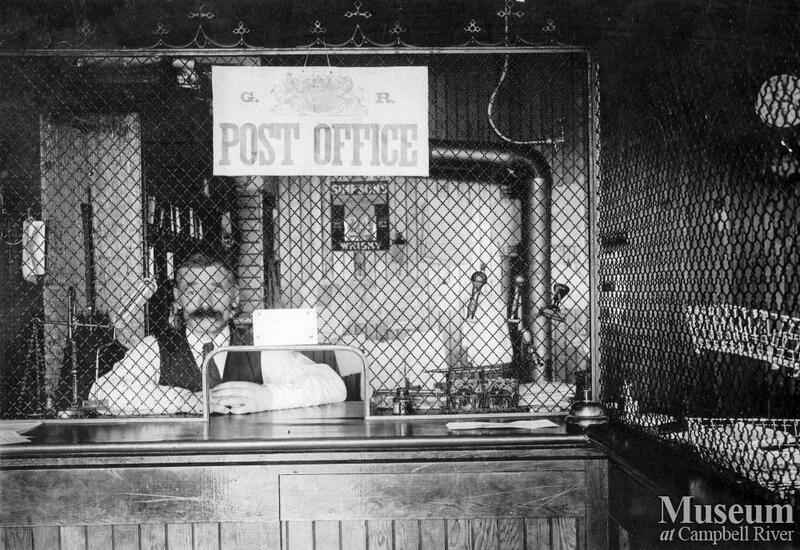 Mr. Charles Thulin was the postmaster and Mr. Hardy (pictured here) was an assistant who also clerked in the store.